Yukio Mishima was the most internationally acclaimed Japanese author of the twentieth century: prodigiously talented, dazzlingly prolific and a prime candidate for the Nobel Prize. Yet in 1970 Mishima shocked the world with a bizarre attempt at a coup d'etat, which ended in his suicide by ritual disembowelment. 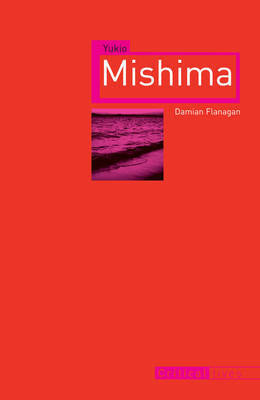 In his radically new analysis of an extraordinary life, Damian Flanagan moves away from the stereotypical depiction of Mishima as a right-wing nationalist and aesthete and presents him as a man utterly obsessed with time - time-keeping devices and symbols - arguing that this compulsion was at the heart of the author's literature and life. This book untangles the frequent distortions in the writer's memoirs, which have often been taken at face value, and traces the evolution of Mishima's attempts to master and transform both his sexuality and artistic persona.Though often perceived as a solitary protest figure, this book shows how Mishima was very much in tune with post-war culture: taking up bodybuilding and becoming a model and actor in the 1950s; adopting the themes of contemporary political scandals in his work; courting English translators and even becoming influenced by the student protests and hippy subculture of the late 1960s. Yet while being in thrall to the modern world, the flip side of Mishima's personality - his hidden neuroses and the traumas of his youth - continually pushed him towards a firm rejection of modern Japan and his explosive final act of self-annihilation.